Komodo IDE is the first unified workspace for end-to-end development of dynamic web applications. A rich feature set for client-side Ajax languages such as CSS, HTML, j 7;vascript and XML, coupled with advanced support for dynamic languages such as Perl, PHP, Python, Ruby and Tcl, enables developers to quickly and easily create robust web apps. 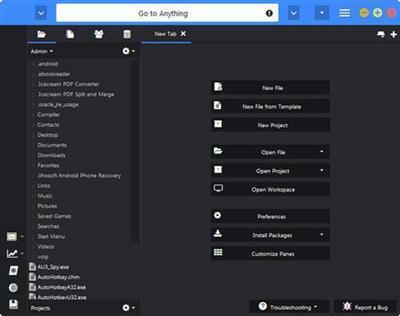 Award-winning features include comprehensive editing and debugging, plus intelligent tools for regular expressions, team development, customization and unparalleled extensibility. The result is a powerful coding environment for framework stacks like Ruby on Rails and CakePHP and client libraries such as the Yahoo! UI Library and Dojo.